Introduction to Investor-State Arbitration focuses on sometimes difficult concepts of investor-State arbitration in a clear and concise explanatory manner while drawing attention to important cases. Today thousands of investors act globally in markets providing services, technology or capital in countries all around the world. This activity can be peacefully accomplished when both the investor and the host State know that the disputes will be resolved under the aegis of the investor-State arbitration regime, wherein an investor is provided with a direct right of action against a State, most commonly stemming from a bilateral investment treaty or a multilateral treaty such as the Energy Charter Treaty and the North American Free Trade Agreement, as well as public contracts. 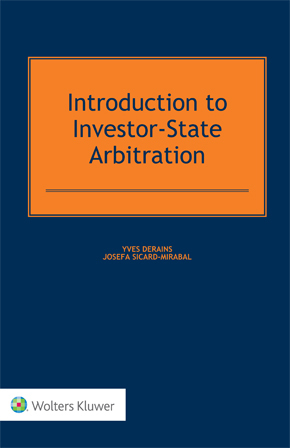 The book examines a number of arbitration procedures arising from various perspectives with differing underlying assumptions highlighting special distinguishing features of investor-State arbitration disputes, including the notion of investment, nationality, consent to jurisdiction, State responsibility and damages. Given that investor-State arbitration is now under the public watch and facing many challenges, this remarkably clear and concise overview of the regime will prove to be of great value to in-house counsel and other practitioners, as well as to government policymakers and students. Articulating essential and complex principles and concepts of investor-State arbitration in a straightforward and uncomplicated manner, this book will cater to common and civil law students and interested individuals thus making it easier for the reader to comprehend.